Thermal decomposition of ammonium perchlorate was improved via addition of transition metals and metal oxides. This work investigates the thermal decomposition of the ammonium perchlorate under the catalytic effect of the commercial nano-TiO2 (nTiO2). 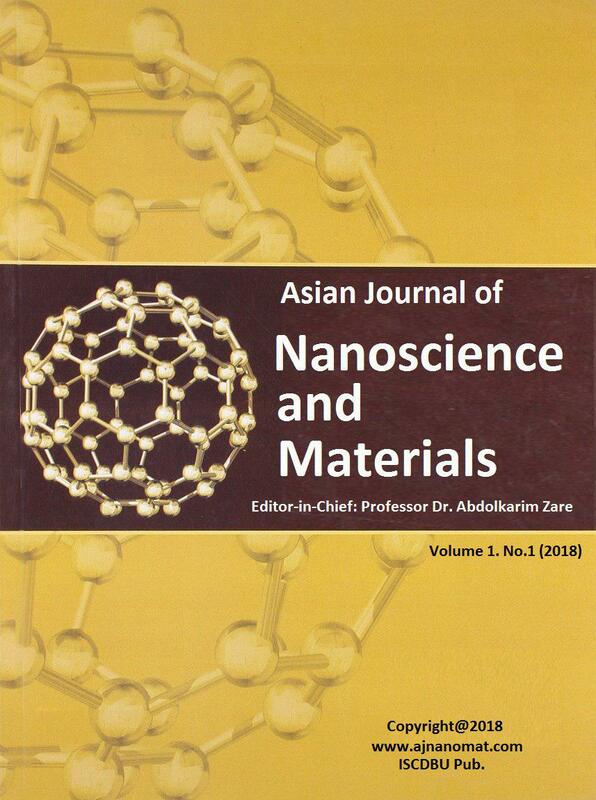 Characterization of nTiO2 showed that its average particle size ranged from 10 to 25 nm with a relatively spherical morphology. Ammonium perchlorate and nTiO2 mixes were prepared by adding three different nTiO2 mass fractionsof 1, 2, and 3 wt% to pure ammonium perchlorate. 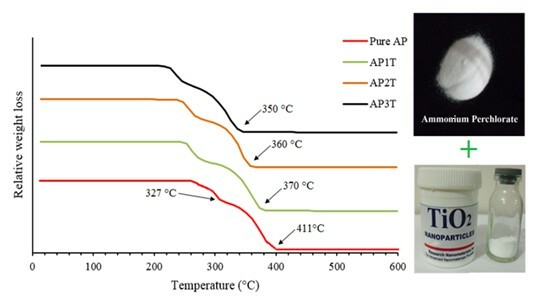 The results of thermogravimetry analysis revealed that the addition of nTiO2 to pure ammonium perchlorate resulted in a significant decline in its decomposition temperature. The most observed decrease in the decomposition temperature was 61 °C resulted from the addition of 3 wt.% nTiO2.